Matthew Boulton was an 18th-century designer, inventor, and industrialist, a consummate businessman, and co-founder of the influential Lunar Society. Now, on the bicentenary of his death, this book surveys his life and extraordinarily varied achievements. 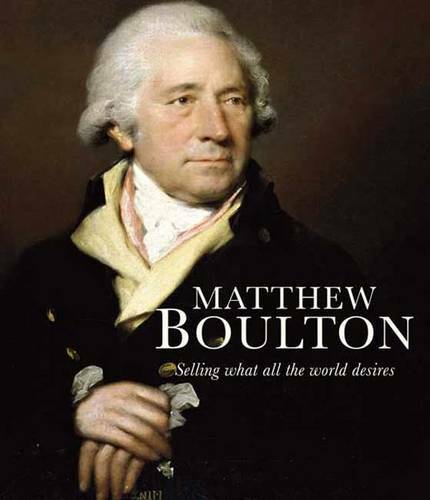 The book explains how Boulton, a Birmingham `toy'-maker producing buttons, buckles, and silverware, went into business with James Watt and exported Boulton & Watt steam engines all over the world. Meanwhile his magnificent ormolu ornaments decorated aristocratic drawing rooms, and his determination to discourage counterfeiters led to a contract to manufacture British coinage and coins of other countries at his mint. Boulton was leader of the campaign to establish the Birmingham Assay Office (still the busiest in the country), and also at the heart of the Lunar Society, a group of prominent industrialists, natural philosophers, and intellectuals interested in scientific and social change. Known to Ben Franklin, Thomas Jefferson, Erasmus Darwin, Josiah Wedgwood, and many others, Boulton was a fascinating man, Britain's leading Enlightenment entrepreneur.